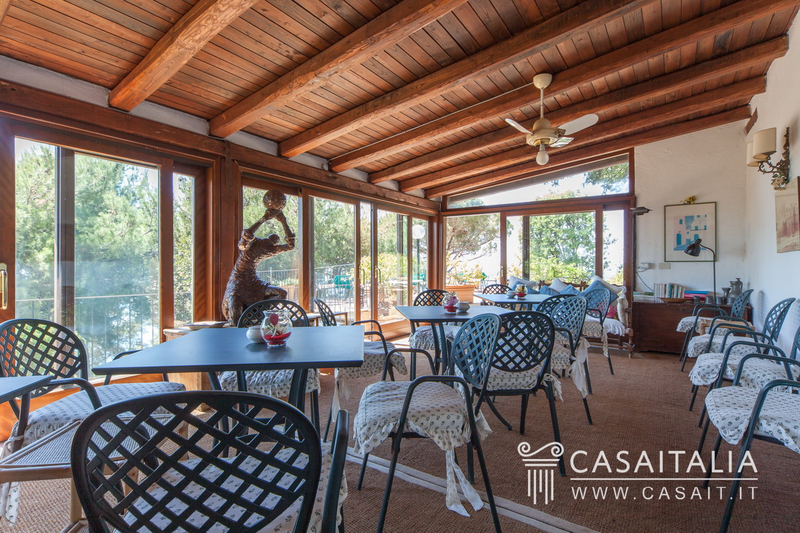 Exterior Lighting, Large Open Gathering Space, Open Porch(es), Outbuilding(s), Outdoor Living Space, Outside Shower, Shaded Area(s), Sunny Area(s), Swimming, Terrace. 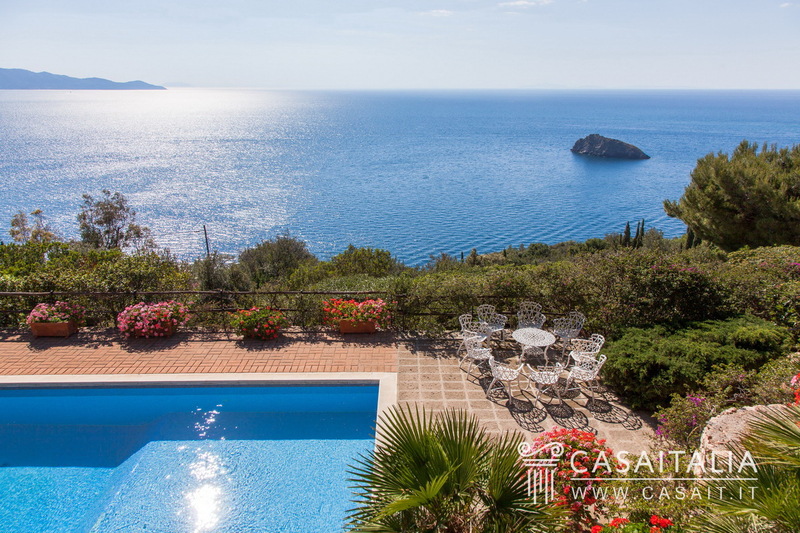 Garden View, Open View, Panoramic, Swimming Pool View, View. 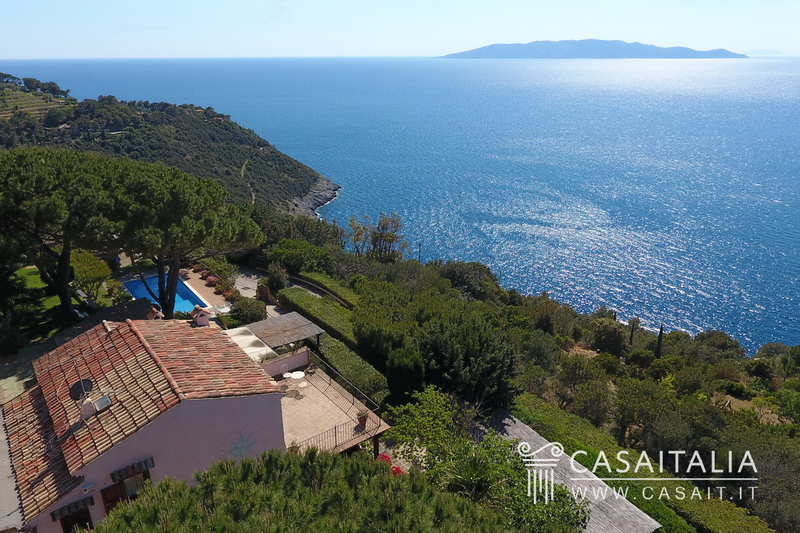 Luxury villa in hilly location with fabulous view of the sea and the island of Giglio, surrounded by over one hectare of grounds, with pool and 5 outbuildings. 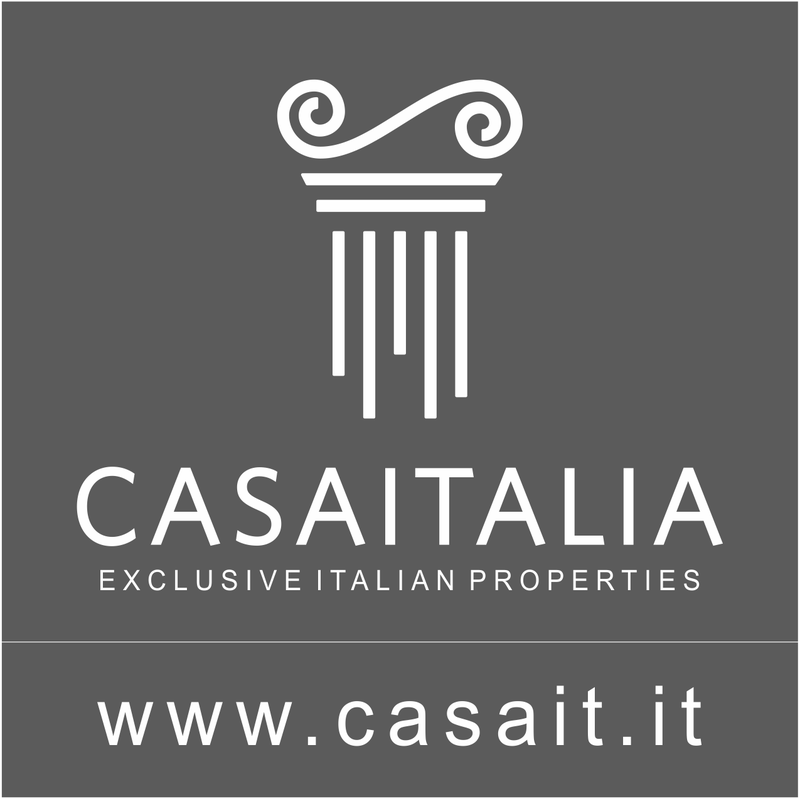 Total surface area of 757 sq.m. 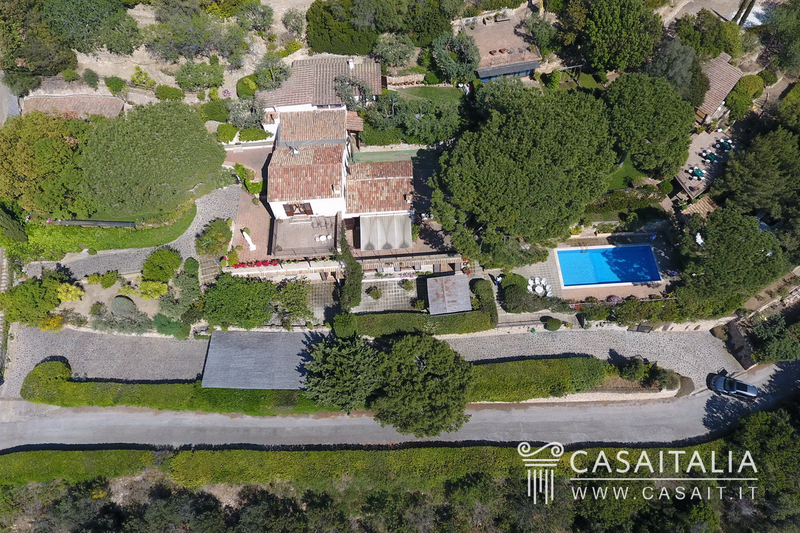 With 17 bedrooms and 19 bathrooms. 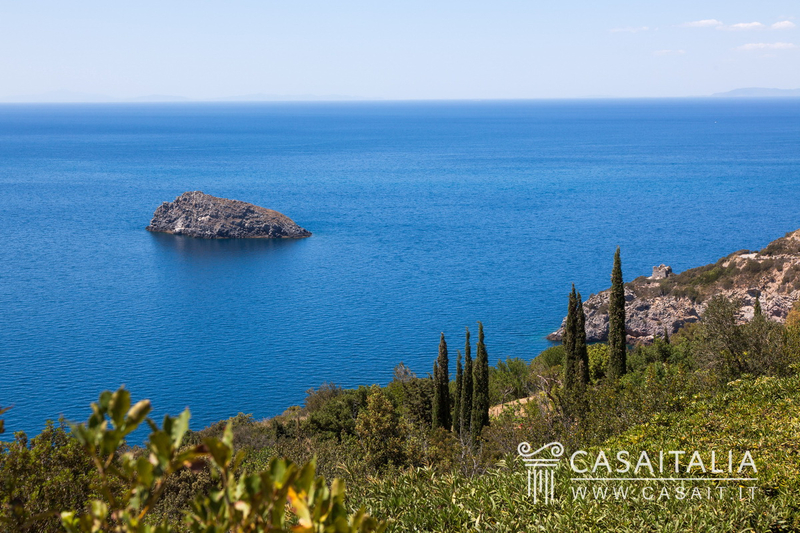 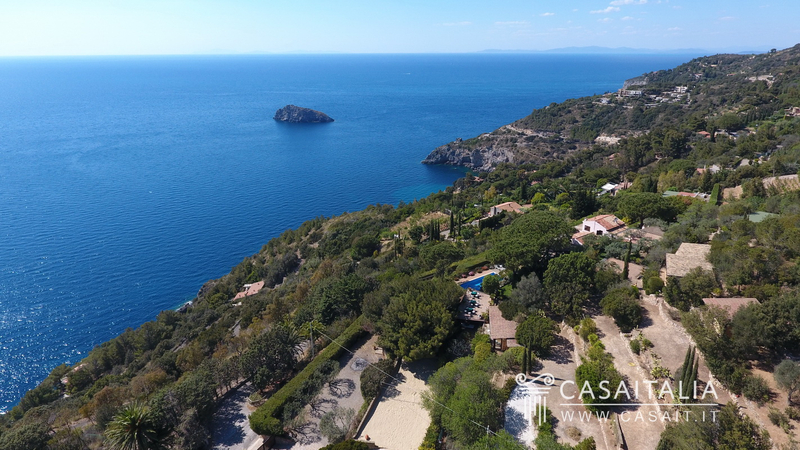 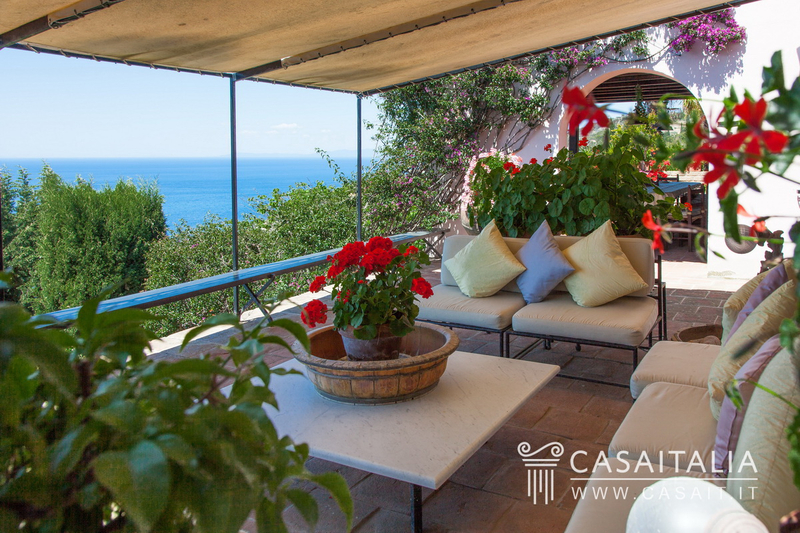 Geographic position Blue Sea is an amazing villa overlooking the sea, with 5 outbuildings, for sale in the Argentario area just 7 km from Porto Santo Stefano, in a hilly and panoramic location between the well-known beaches of Cala del Gesso and Cala Piccola. 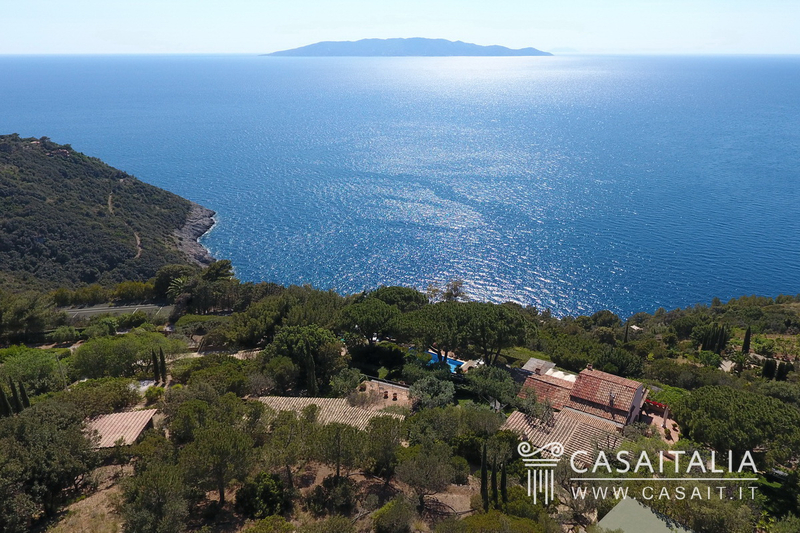 Argentario is a uniquely charming place, which combines the distinguishing qualities of the Maremma region with the beauty of the sea, and Porto Santo Stefano, one of its most picturesque seaside villages, is just a quarter of an hour away from the property. 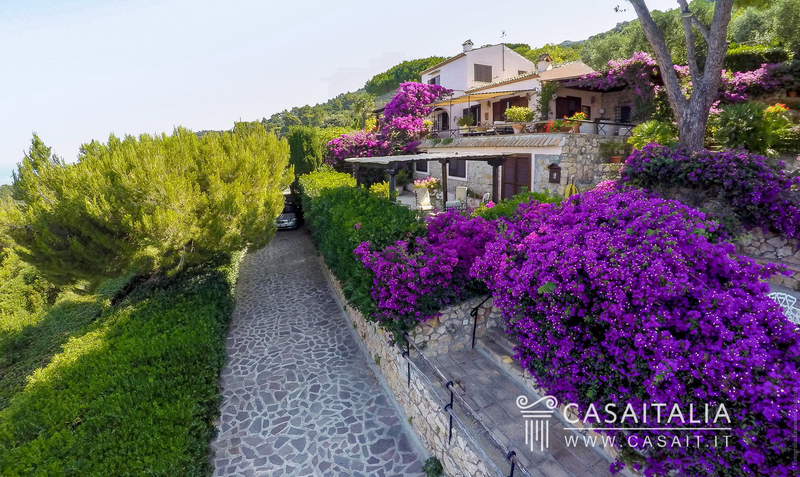 The other main coastal towns of the promontory are less than half an hour’s drive away (Orbetello 17 km, Porto Ercole 19 km, Albinia 20 km, Ansedonia 27 km, Talamone 32 km) and Grosseto, 52 km, is under an hour away. 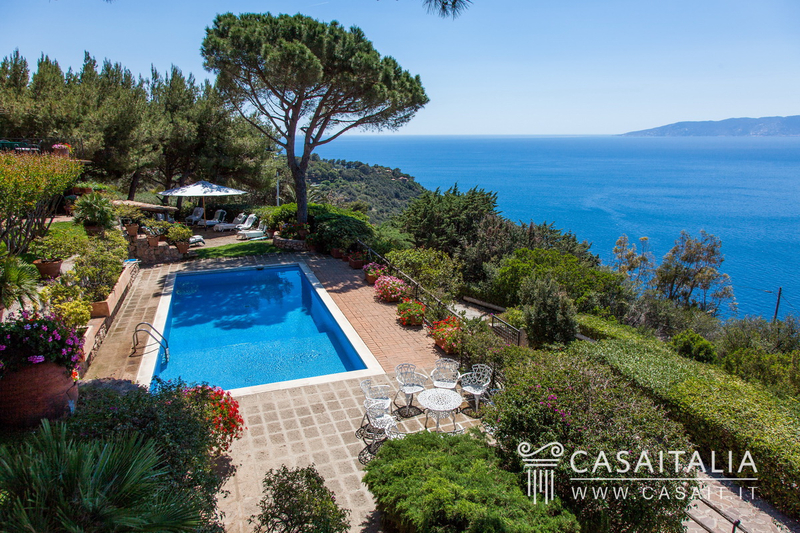 The nearest airports are Rome Fiumicino and Rome Ciampino, 153 and 172 km away respectively. 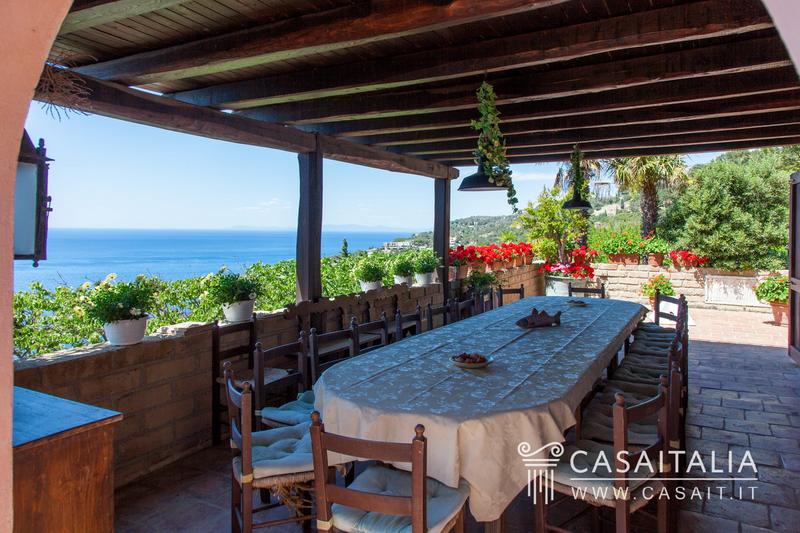 Description of buildings Villa Blue Sea is a beautiful property comprising the main villa, 5 outbuildings used as accommodation and some little annexes and sheds, surrounded by over 1.3 hectares of private land with pool. 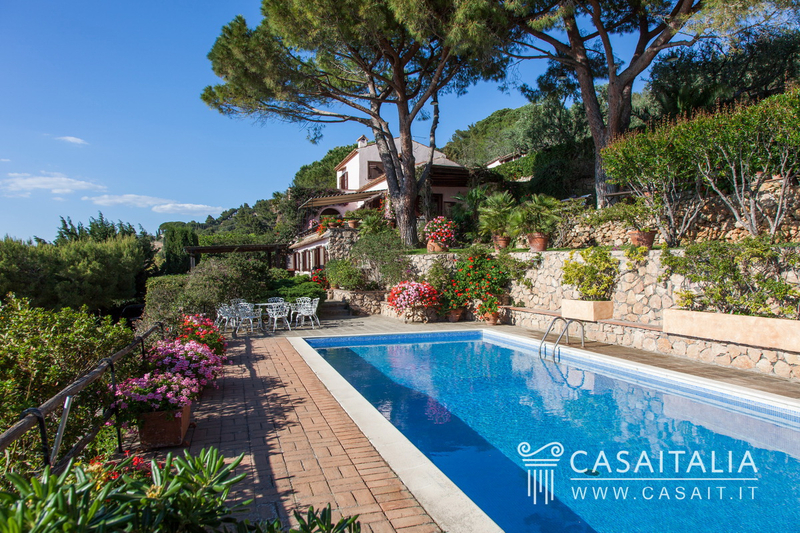 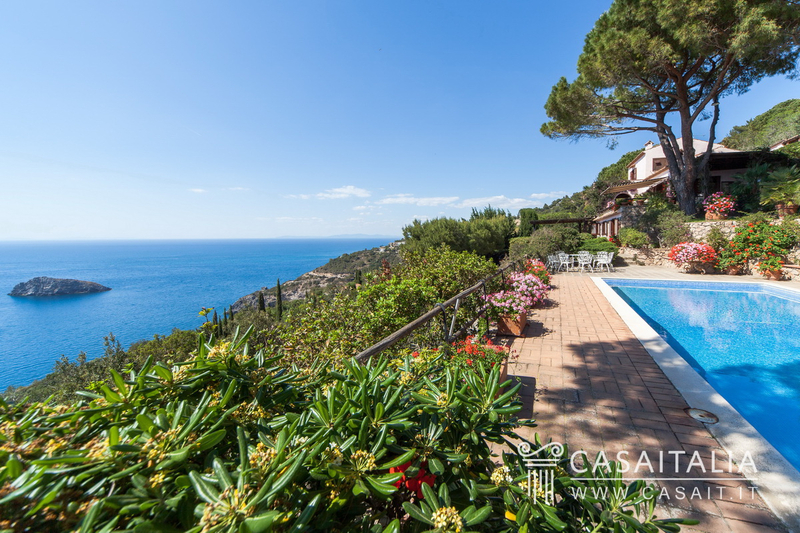 The location is fantastic, immersed in the greenery of the Mediterranean woodland with a panoramic view of the sea. 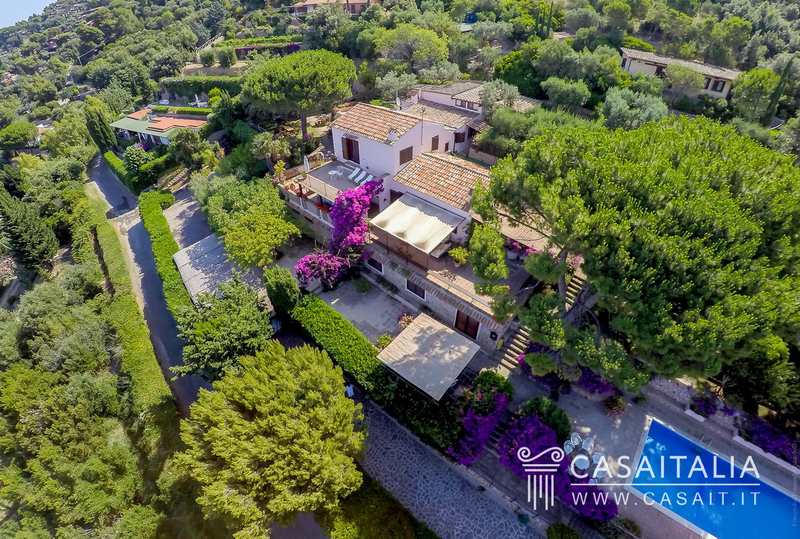 The villa The villa, measuring approximately 551 sq.m in total, has four floors, which follow the incline of the land on which it was built. 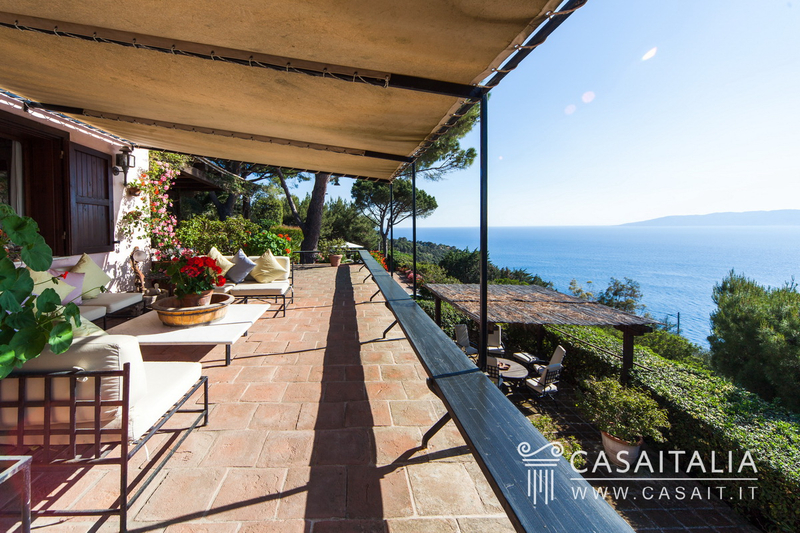 The main entrance opens into a large living area, with dining room and living room, each with fireplace, which overlook a large, partially covered terrace with sea view. 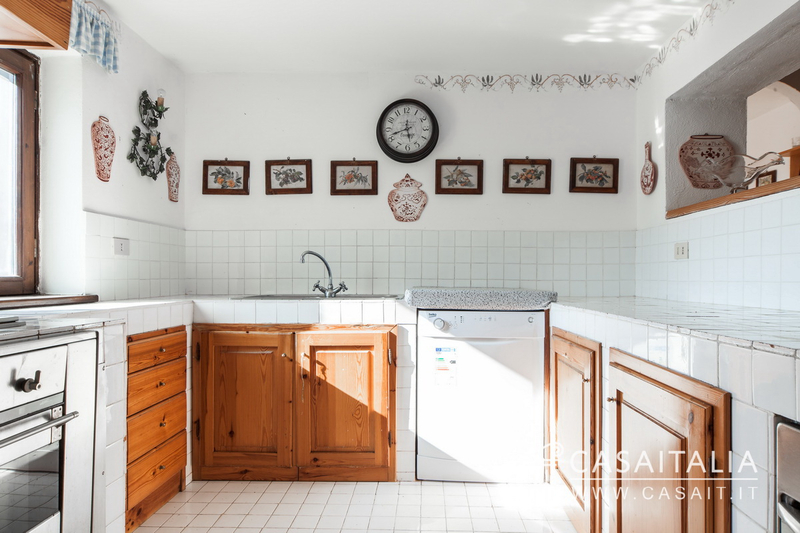 On this floor there is also a kitchen, a guest bathroom for the living area, a little sitting room, the pantry, an ironing room and another bathroom. 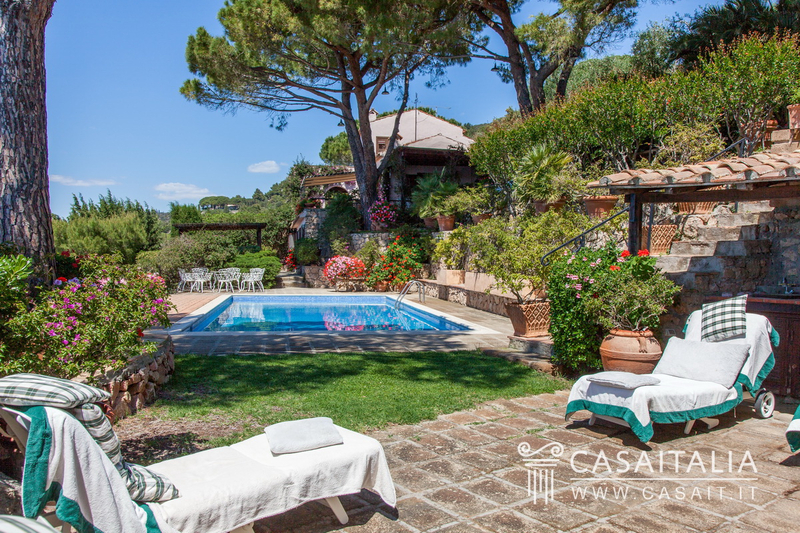 The villa really comes alive in the summer months, and for this reason it features a large open-air kitchen (which is the one used the most), with barbecue. 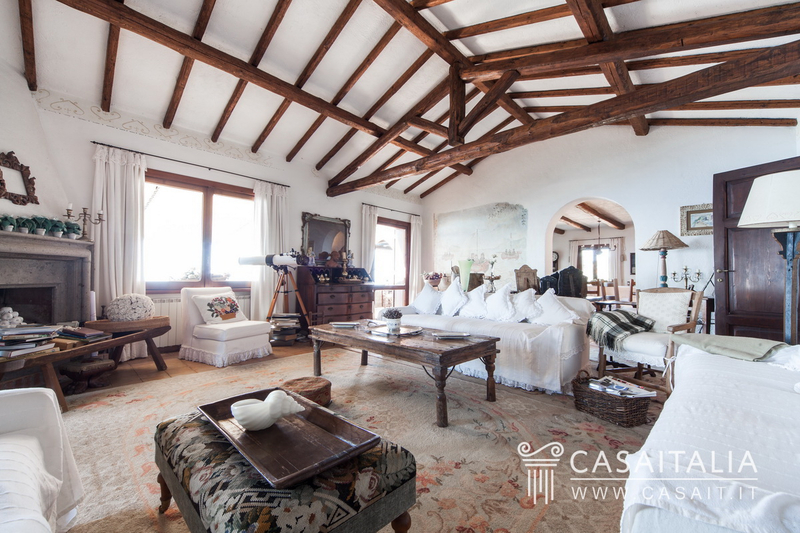 The floor below is partly connected internally to the rest of the villa: in this area there is a sitting room, two bedrooms and two bathrooms. 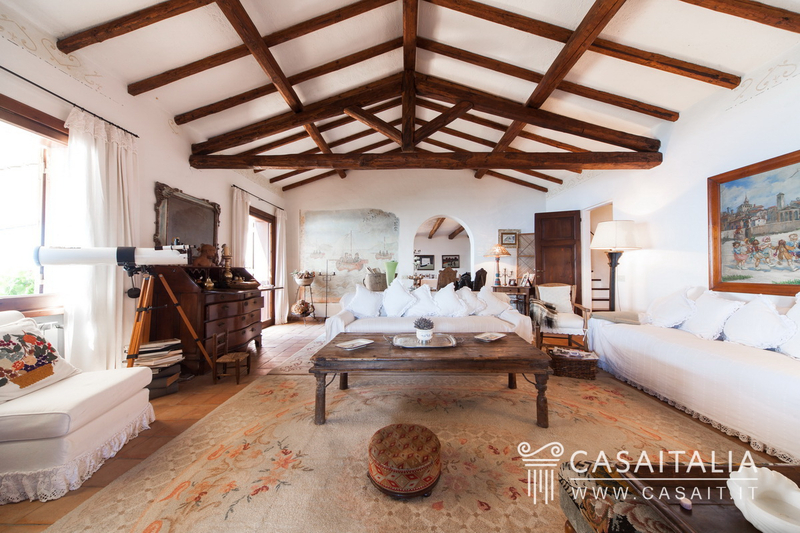 The left wing of this floor also has two bedrooms with en-suite bathroom, each with its own entrance from the outside. 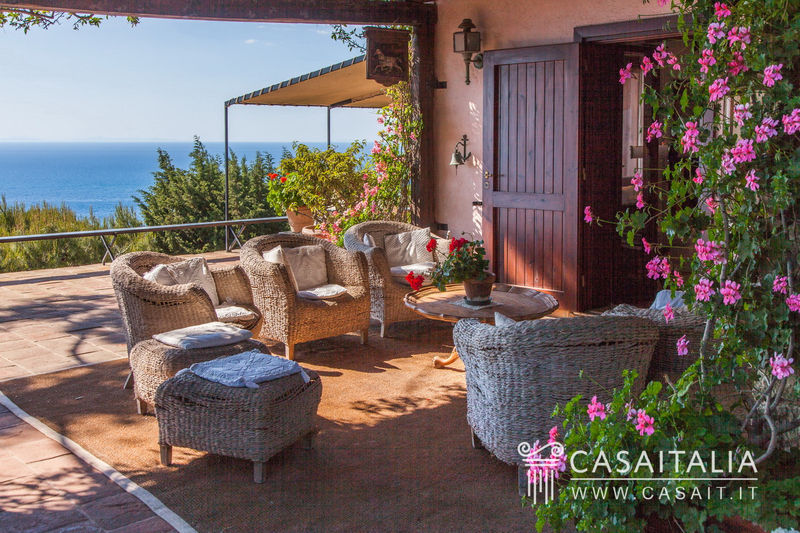 From the living room on the ground floor, a staircase leads to the floors above: on the first floor there are two large double bedrooms, with wardrobe and en-suite bathroom, each with access to its own large terrace with sea view. 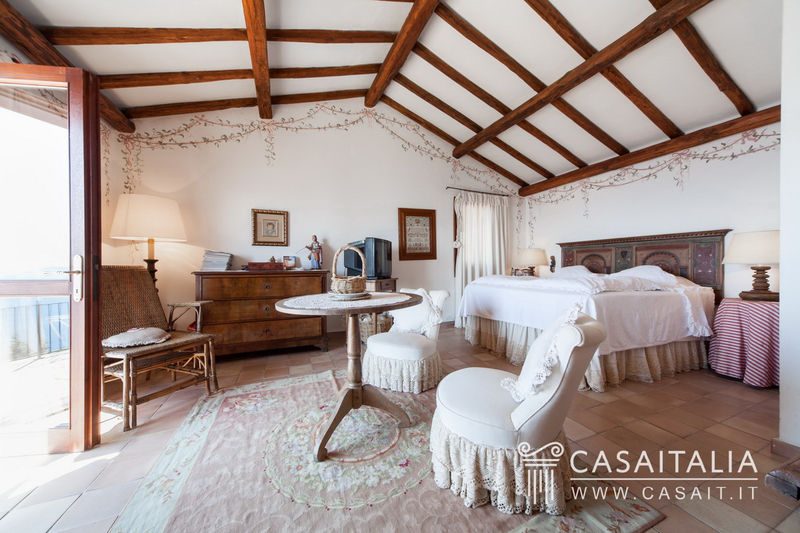 On the second floor there is another bedroom with private bathroom and a caretaker’s area with its own entrance from outside. 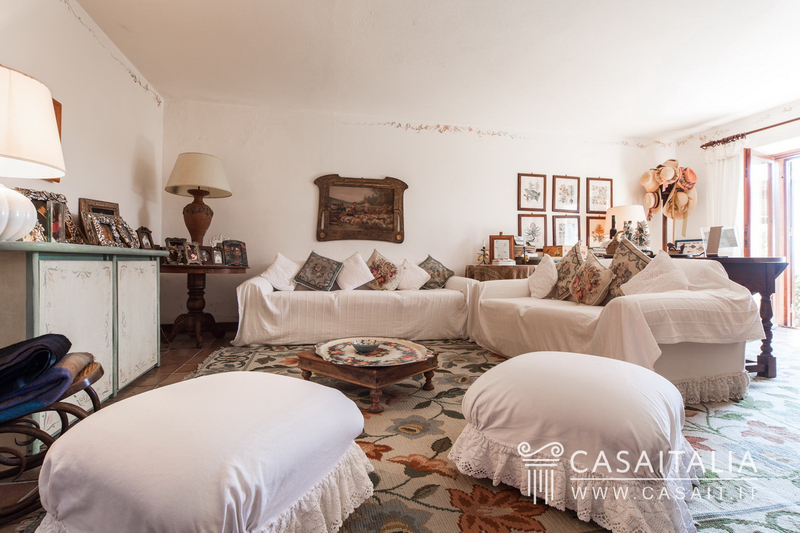 Within the property’s land there are several outbuildings of various sizes: Outbuilding 1 - 60 sq.m approx Comprises living room with kitchenette, bathroom and bedroom with en-suite bathroom. 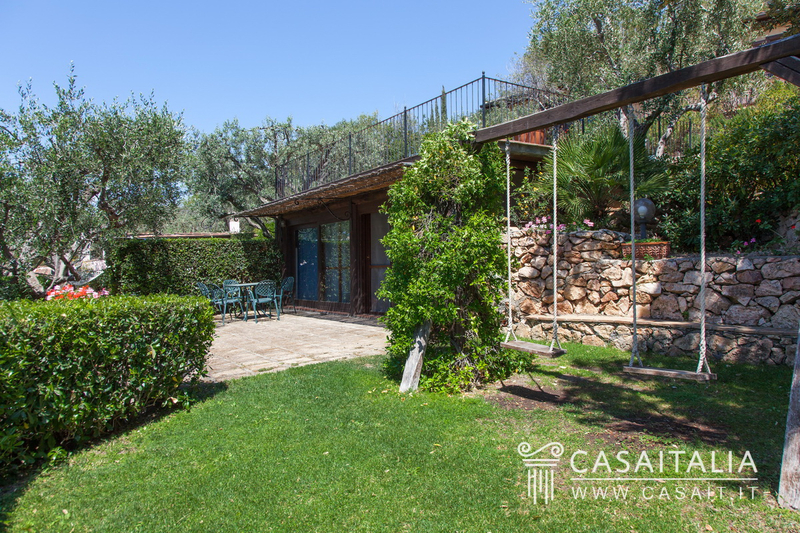 Outbuilding 2 - 41 sq.m. 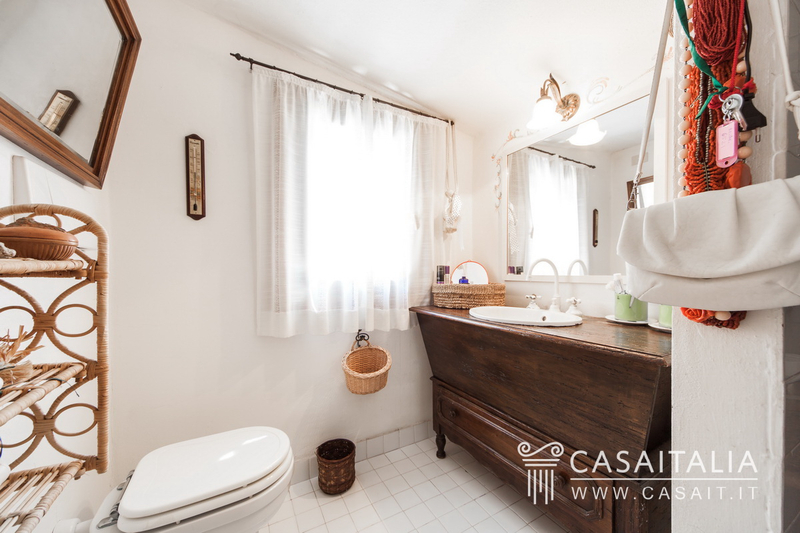 approx Split into 4 bedrooms with separate entrances and private bathrooms. 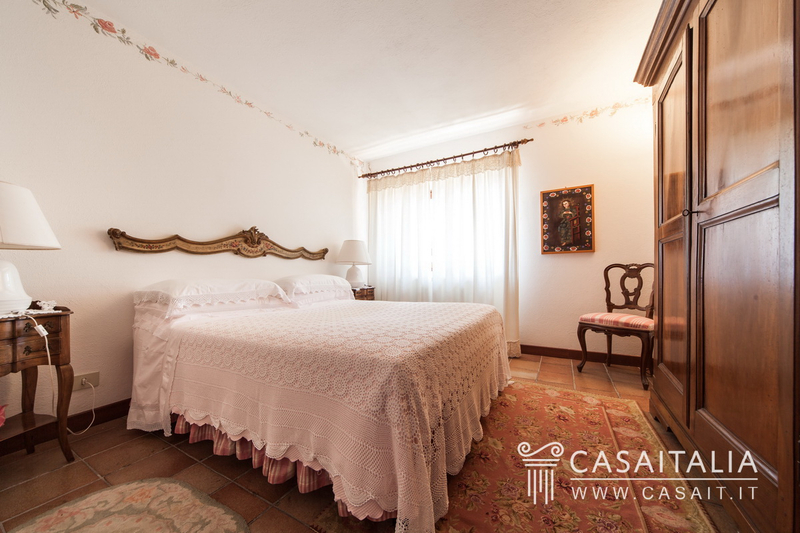 Outbuilding 3 - 68 sq.m approx Featuring living room with kitchenette, double bedroom, two single bedrooms and two bathrooms. 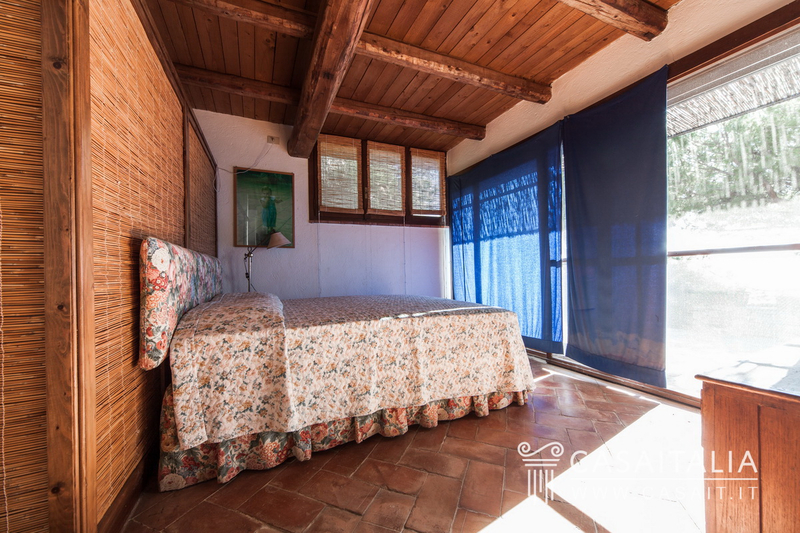 Outbuilding 4 - 30 sq.m approx Comprises one bedroom with bathroom. 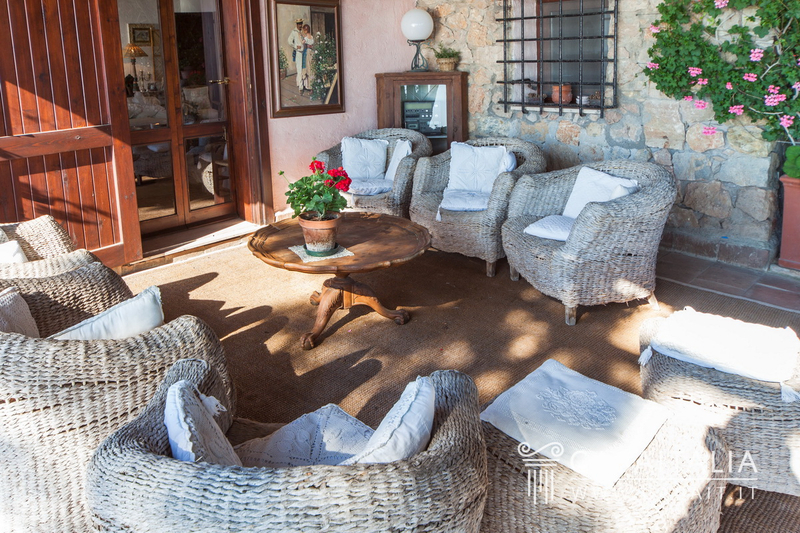 Outbuilding 5 - 47 sq.m approx Features a large living room with French doors and a bathroom. 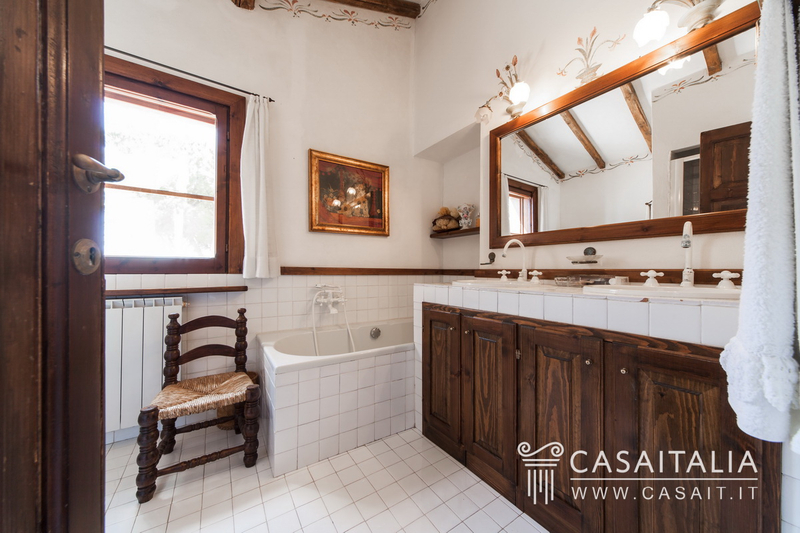 State and finishing The property was restored a few years ago and is in good condition. 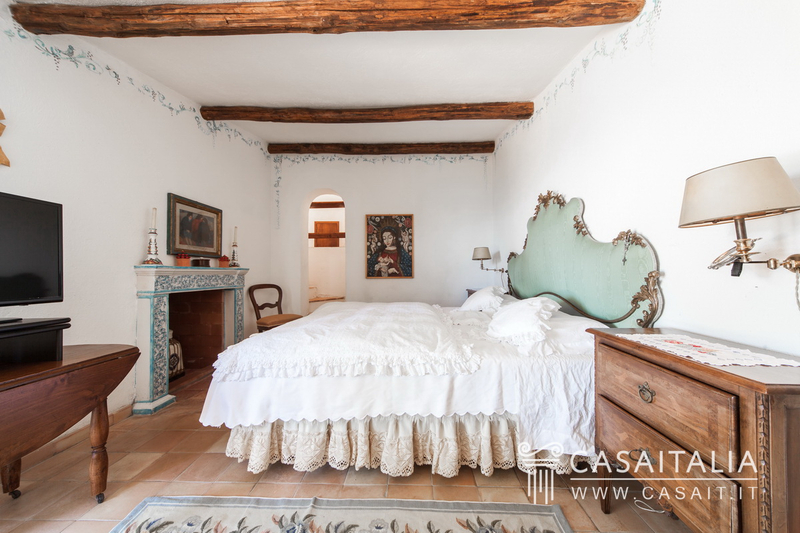 The inside areas are very bright, thanks to the many windows and large French doors, and picturesque, with tiled floors and wood-beamed ceilings. 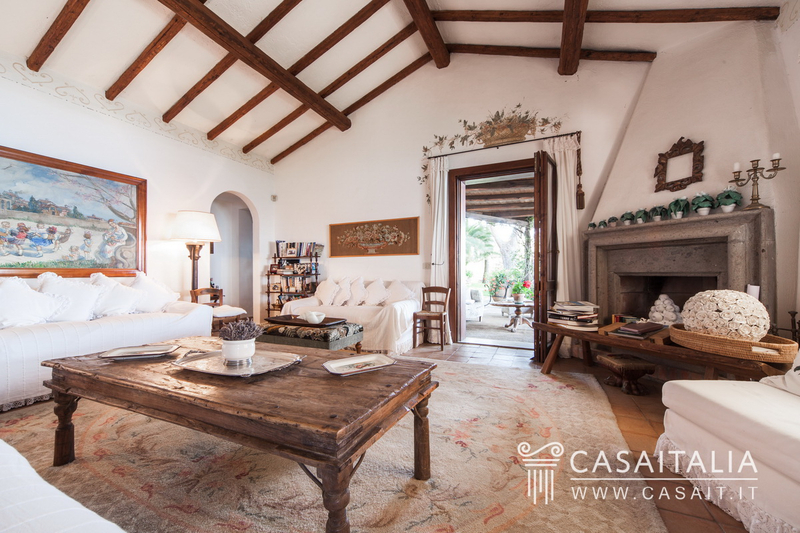 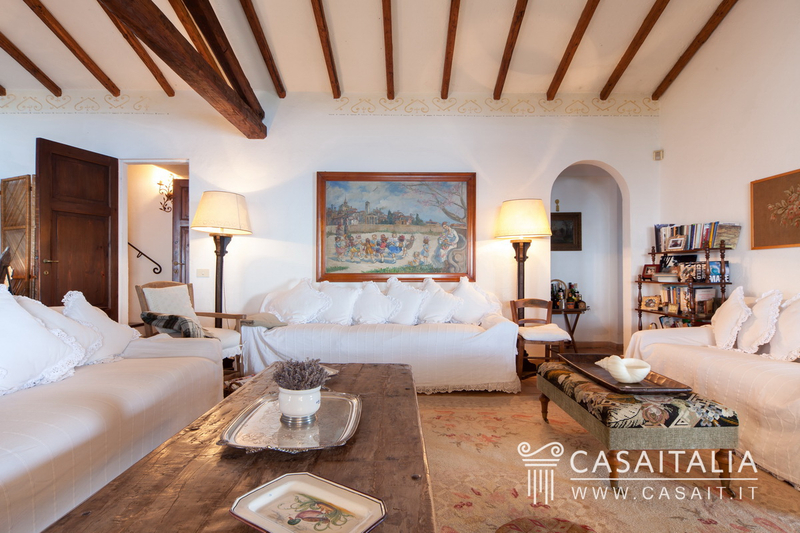 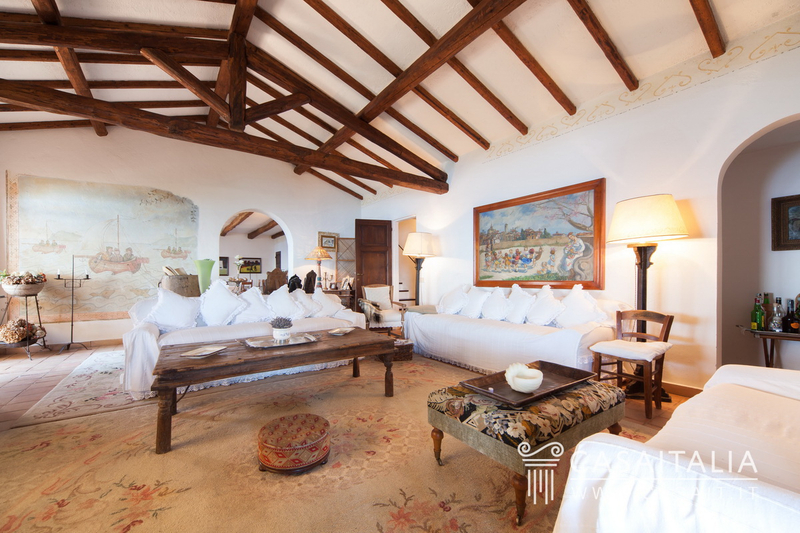 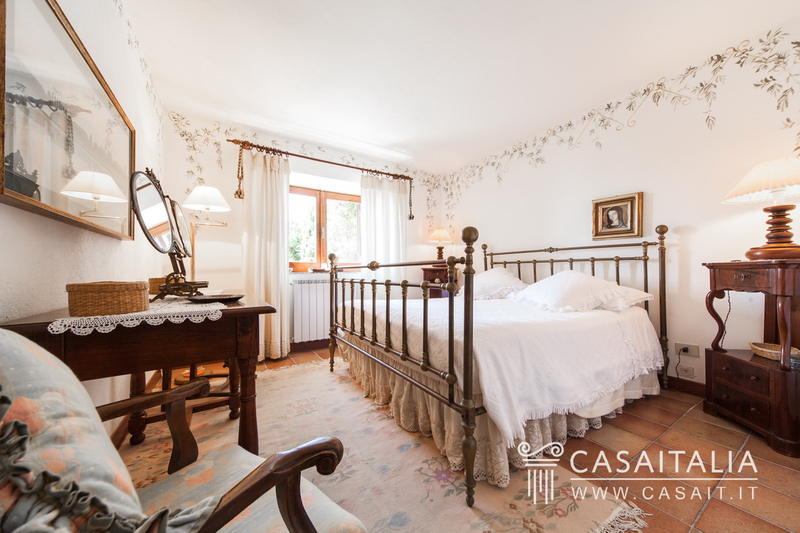 In the villa, the walls have been pleasantly decorated and the fireplaces (two stone fireplaces in the living area and one in one of the bedrooms) make the rooms warm and welcoming. 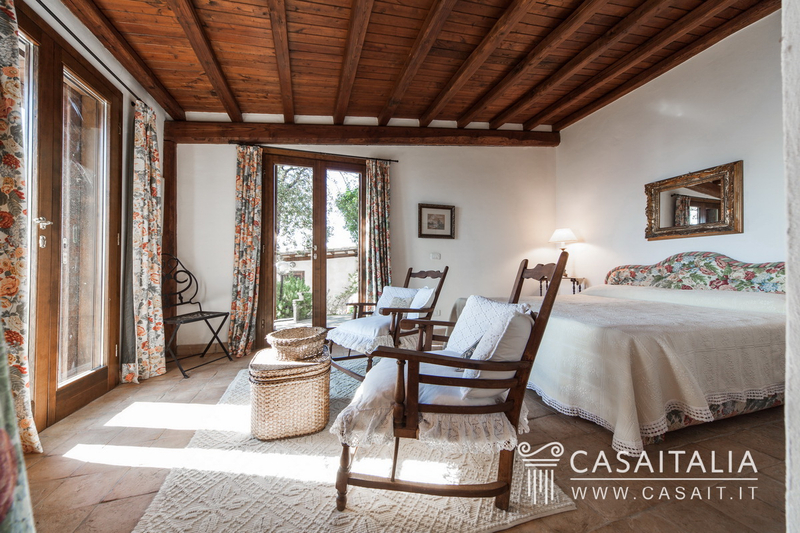 The outbuildings are also in good condition, and feature tiled floors and exposed wood ceilings. 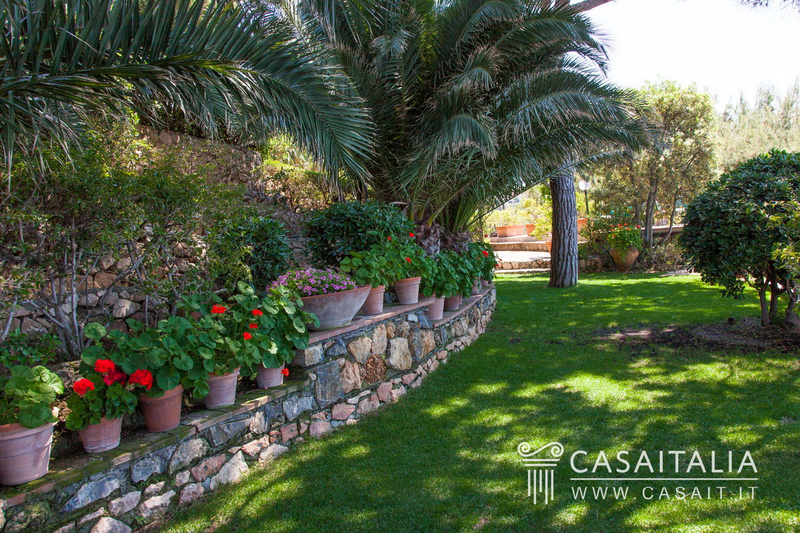 External areas Within the grounds, measuring over 1.3 hectares, there are terraced areas, where the outbuildings are, located above the villa. 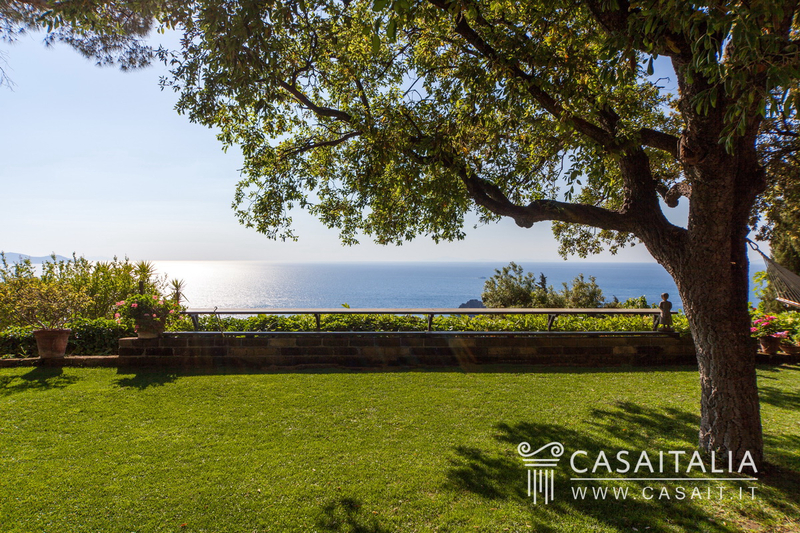 The grounds also feature garden areas with lawns, walkways and lanes, with maritime pine trees and other typical mediterranean woodland trees and shrubs, and several pleasant shaded areas. 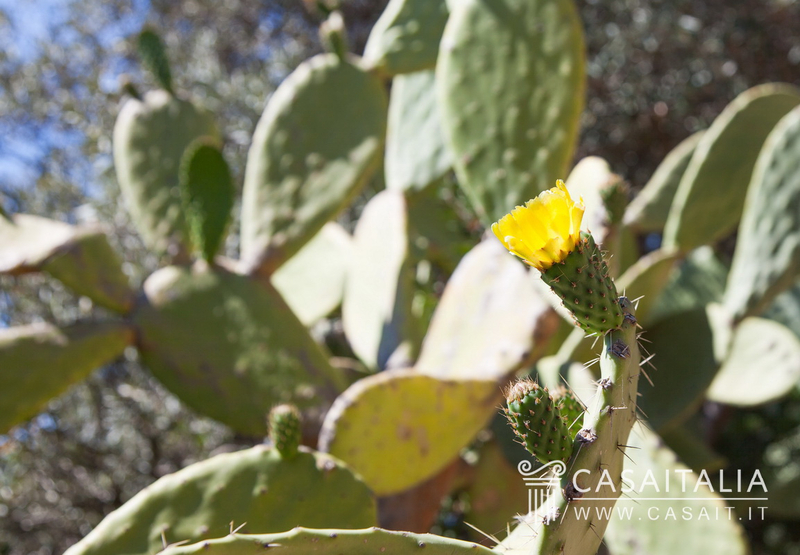 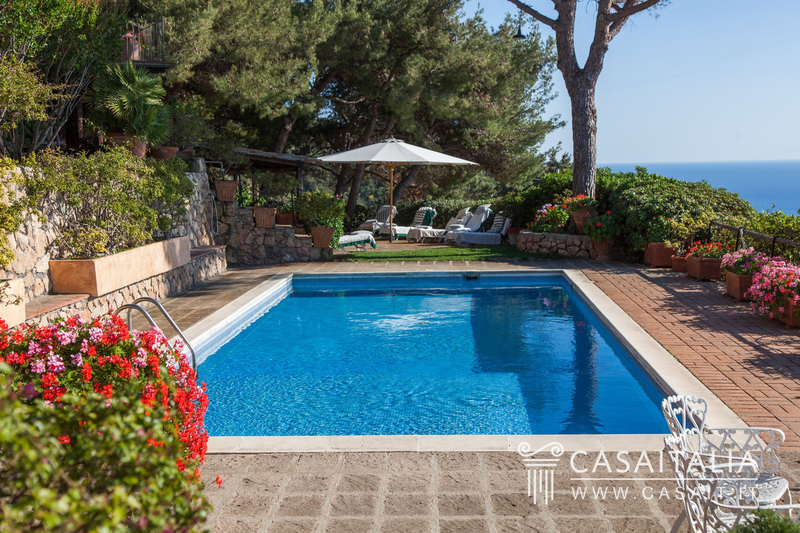 Next to the villa, in a secluded, terraced area with a beautiful view of the sea and of the island of Giglio, there is the pool, surrounded by the solarium area and decorated with large pots of flowers. 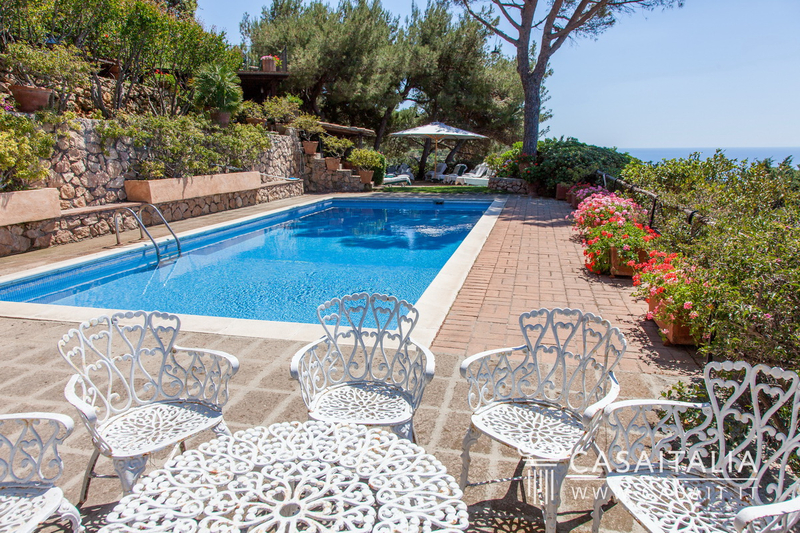 Use and potential uses Villa Blue Sea is a fabulous holiday residence, for those looking for an impressive home with the opportunity to host friends and relatives. 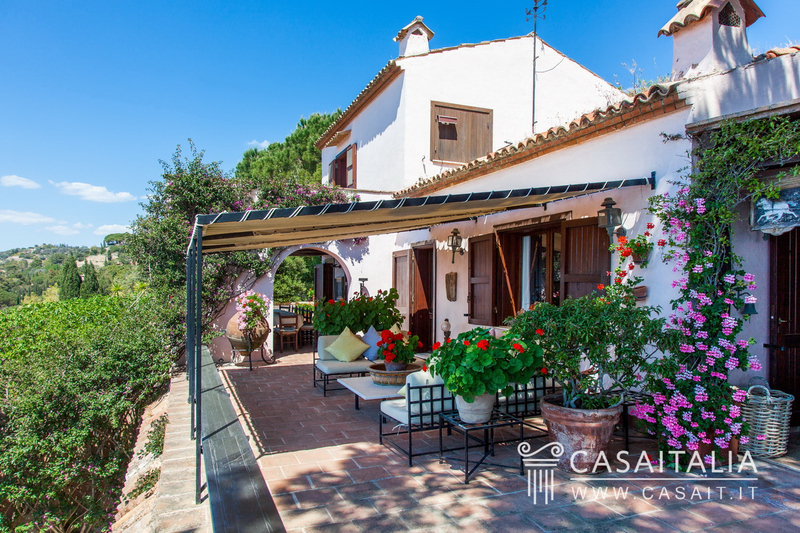 The 5 outbuildings make it ideal as an investment property, renting out the outbuildings and separate bedrooms on a weekly basis or renting out the villa itself as well, when it is not in use.